(Natural News) Everybody loves a good David and Goliath story. Few things provide as much satisfaction as watching the little guy take on a gigantic, evil corporation and win. Of course, watching a little “David” take out not just one but two evil giants with one stone is even more satisfying. That is exactly what happened when a California jury found that exposure to Monsanto’s glyphosate-based Roundup weed killer product had caused groundskeeper Dewayne Johnson to develop an aggressive form of non-Hodgkin’s lymphoma. The jury also found that Monsanto was fully aware of the product’s dangers but did all it could to hide the risks from the public. The judgement demanded that punitive damages in the amount of $289.2 million be paid to Mr. Johnson as compensation. 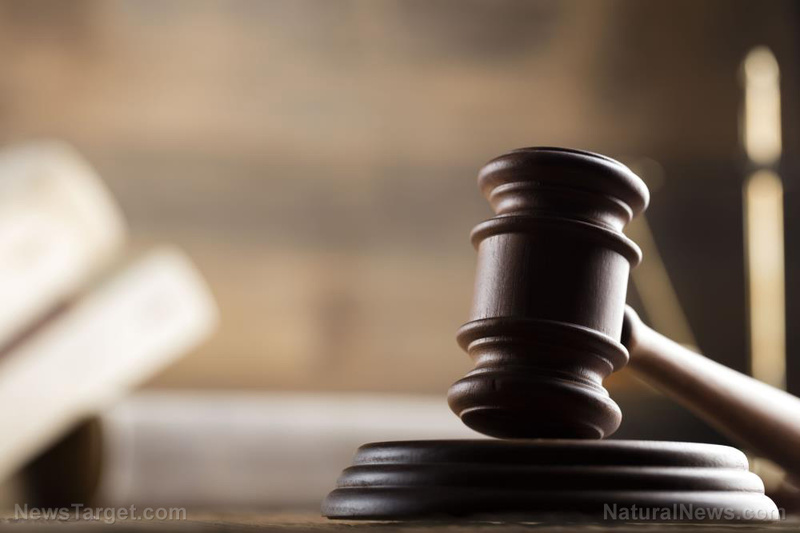 Of course, Monsanto’s legal team immediately appealed the verdict, but San Francisco Superior Court Judge Suzanne Ramos Bolanos upheld the decision, though she did reduce the amount payable to $78.5 million. And just like that not one, but two Goliaths were struck down, because just months before the verdict was delivered, German chemical giant Bayer entered into a merger with Monsanto at the eye-watering cost of $66 billion. Though the $78.5 million settlement might seem like chump change to these gigantic corporations, this court case represents just the tip of the iceberg, because another 8,700 plaintiffs who claim their health was damaged by Roundup are waiting in the wings with a massive class action lawsuit. Bayer’s stocks plunged 10 percent within three days of the jury’s verdict in the Dewayne Johnson trial, after experts predicted that future lawsuits could cost Bayer/Monsanto at least $800 billion more. The news quickly spread and caused an immediate crash in Bayer’s stock value, sending a powerful message to the Agrochemical industry that they are legally and financially responsible for the adverse effects caused by their unscrupulously marketed products despite receiving a regulatory pass from government agencies like the EPA, USDA, and FDA that have traditionally acted as industry cheerleaders. It was Monsanto that manufactured Agent Orange, which was used on three million U.S. soldiers in Vietnam and on countless Vietnamese, inhumanely causing nervous system and genetic damage. A staggering 500,000 children were born with birth defects and an additional million people suffered health problems or disabilities due to Monsanto’s Agent Orange. It’s only fitting that Monsanto merges with Bayer, a company that manufactured and sold the chemicals that were used to kill Jews in Nazi Germany. Bayer, along with BASF and Hoechst, originally merged as IG Farben and contributed heavily to Adolf Hitler. In return, Hitler relied on the chemical manufacturers to create Zyklon B, a chemical weapon used in Auschwitz and other concentration camps to exterminate the Jews who were too old, too small, or too weak to work. Is Monsanto the next Big Tobacco? Big Tobacco once appeared unstoppable. There was a time where aggressive advertising and special interest lobbying allowed them to spread the propaganda that the science around the dangers of tobacco was inconclusive. To back up these statements, the tobacco lobbyists tore apart every single medical and scientific finding confirming these dangers. Monsanto — and by extension, Bayer — has used the same tricks to get regulatory agencies like the Environmental Protection Agency (EPA) and the U.S. Food and Drug Administration (FDA) to look the other way and ignore the science. And, like Big Tobacco, their tactics worked for a long time. But now, thanks to people like Dewayne Johnson, the tide is turning. Soon, Monsanto and its evil partner Bayer will be as irrelevant and exposed as Big Tobacco has now become.